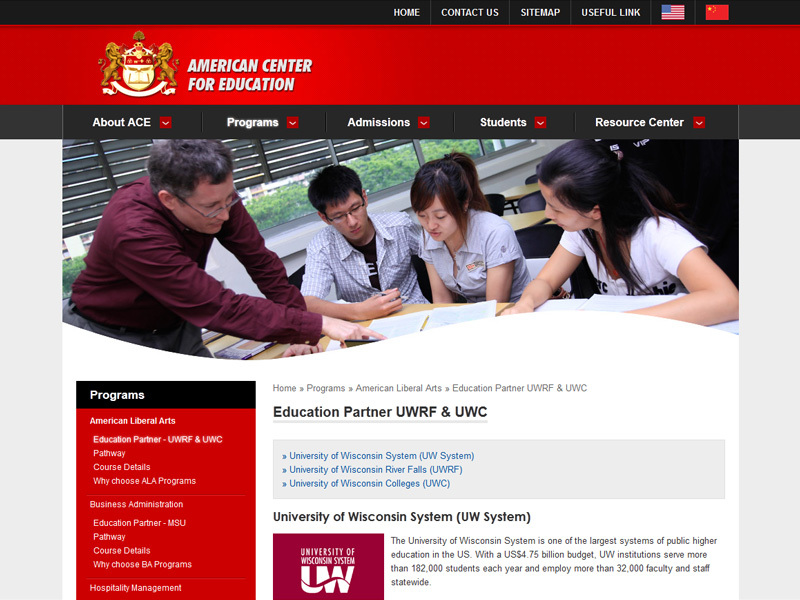 The American Center for Education (ACE) is the only authorized higher education provider in Singapore established through collaboration with the University of Wisconsin - River Falls (UWRF), USA, providing a high quality experience for higher education with an American perspective for both local and international students in Singapore. 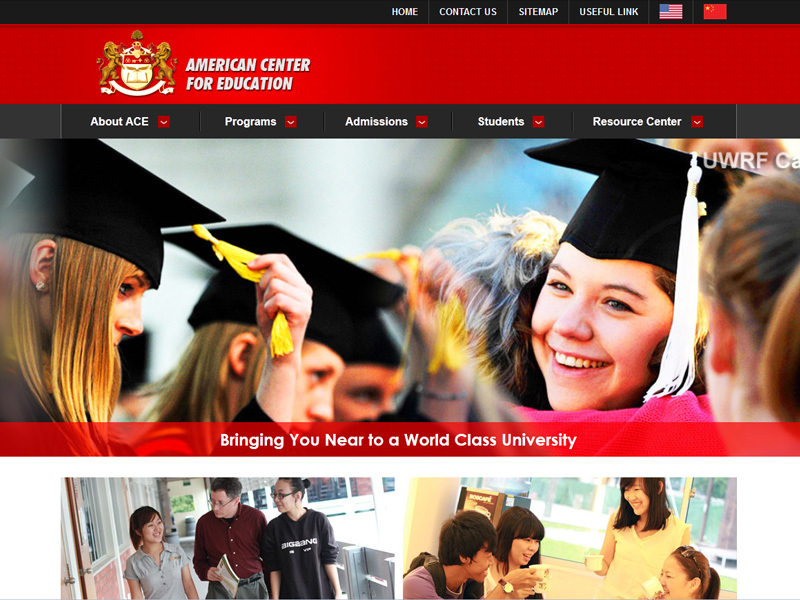 ACE offers a very promising higher educational pathway to its students. 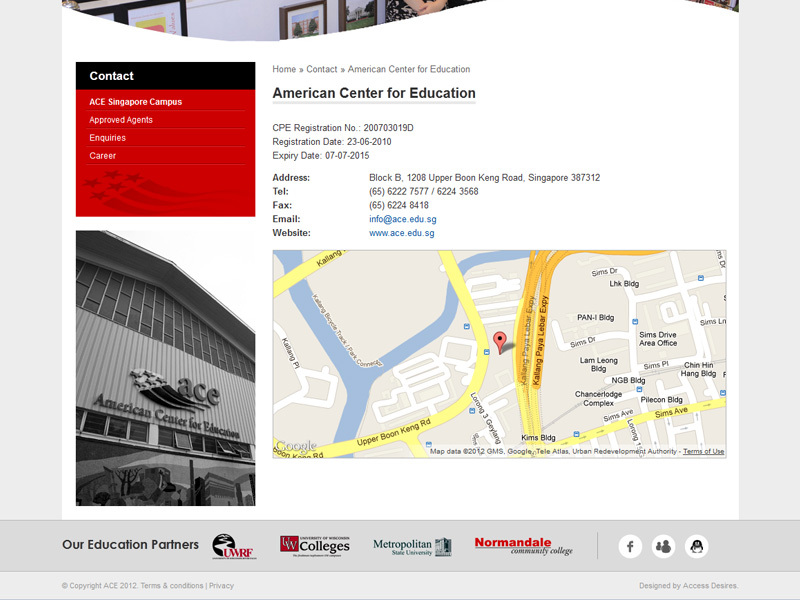 ACE helps them to acquire the knowledge, skills and confidence they need to succeed in today's challenging world market for talent.